Are you looking for an unparalleled award to make your ceremony unique? 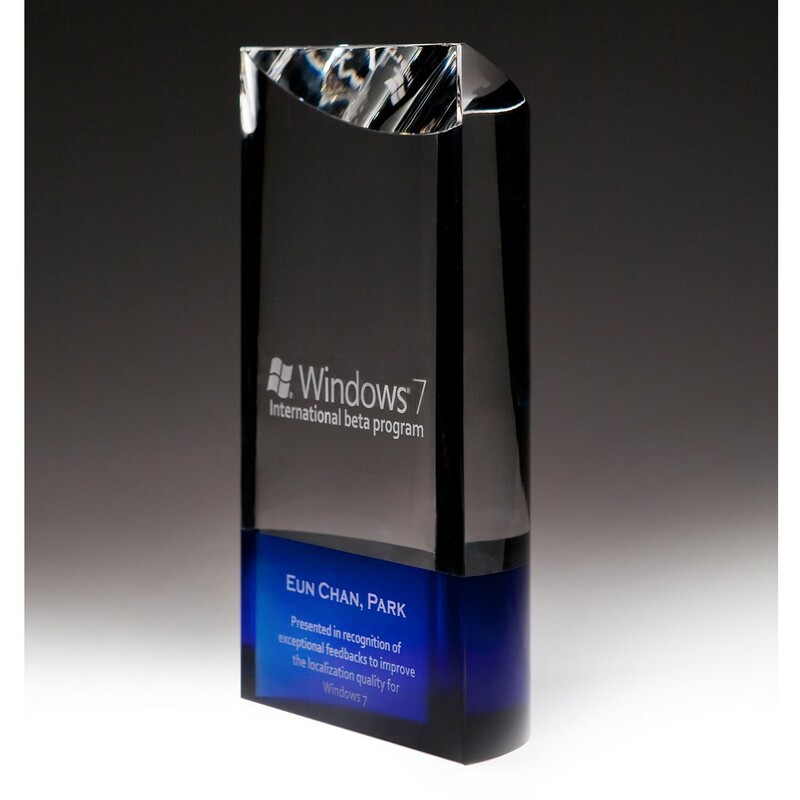 Created by CIP, the Sapphire Blue and Clear Semicircle Crystal Awards combines great shape and color! 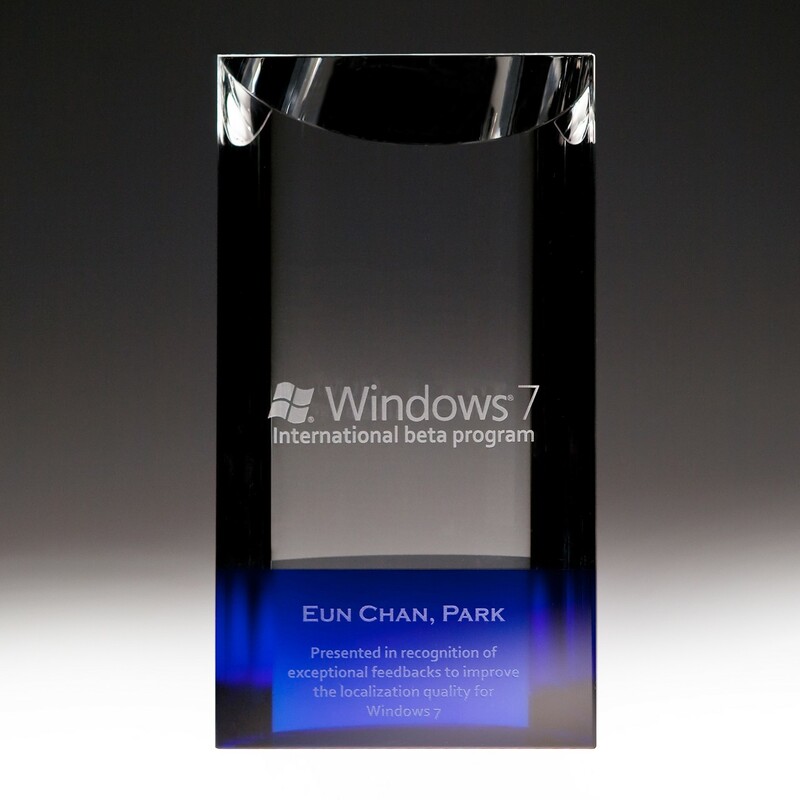 At almost 8 inches tall, this designer award is a towering half cylindrical shape with eye-catching blue coloring. Your text and logos will be etched for free on the impeccable crystal. Create your perfect event by adding these great awards!